Under the Montreal Protocol, it was agreed that ozone-depleting substances, including CFCs and HCFCs, would be phased out globally. All around the world, governments are implementing legislation to meet their obligation to phase out the use of HCFCs. 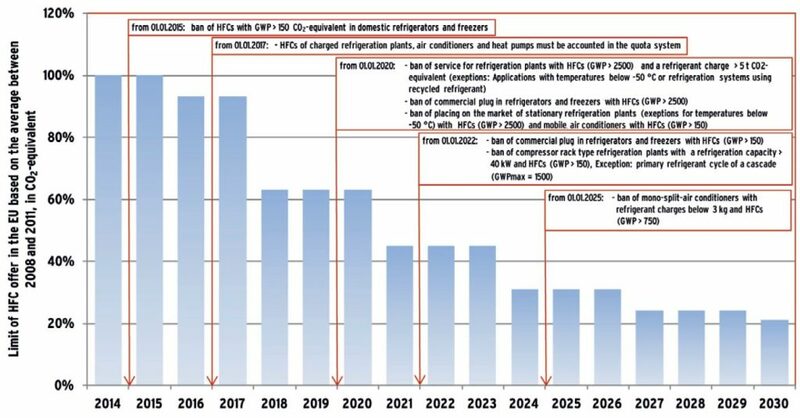 The EU regulation on fluorinated gases (F-gases) requires a gradual phase-down of HFCs, to end up at no more than 21% of 2015 sales by 2030 (due to the Kilgali amendment on the Montreal protocol). The EU’s overall HFC quota is being progressively and significantly reduced. The 2018 quota was just 63% of that allocated for 2015, with those for 2016 and 2017 at 93%. From 2021 the quota will be further reduced to 45% compared to 2015. Another price increase can be expected when the quota will be further reduced in 2021 to 45%. Teknotherm Marine can at ease you: your current HVAC and refrigeration system can keep running for years to come. At the moment there is no need to change your refrigerant as your system was built for running on this refrigerant. For new systems, we are looking over the options left. It is impossible to foresee exactly how the market will react to the new mechanisms of the updated F-gas regulative, but diagram 1 could be a good indication. 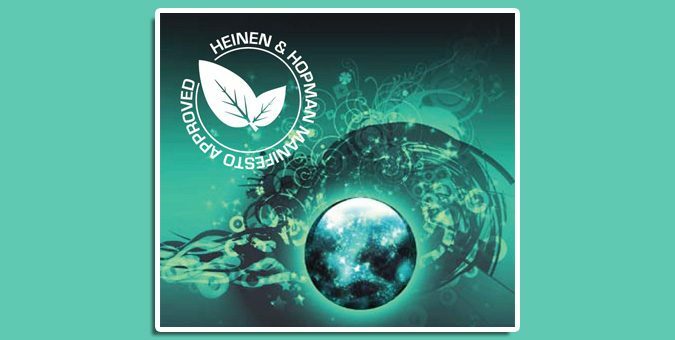 As we expect most high-GWP refrigerants will be phased out over the years, we have been looking over the options to implement low-GWP refrigerants like R1234yf, R1234ze, R449a and natural refrigerants ammonia, carbon dioxide, propane and water in our HVAC and refrigeration systems. We have already used R449a in our systems. R1234yf and R1234ze can be used as well, but only when taking into account additional safety requirements during installation on board ships as these are flammable refrigerants. We can also use some natural refrigerants – including carbon dioxide (CO2), propane (R290) and ammonia (NH3) – but additional safety measures are required as well. When refrigerants cannot be replaced anymore, or it is very expensive to replace it, there are other options available. In diagram 2 we give options to substitute your current refrigerant. Warning: not all substitutes are drop-in replacement refrigerants.